Jenny stood, hitched the gun belt up on her waist, and walked out the door. Her polyester pants whistled as she walked to the patrol cruiser. She smiled. That was a sound she wouldn’t miss. Jenny arrived at the squad room early, as she had every day for seven years. Officers Jim Reginald and Bill Ridley were seated at the conference table. The clerk dialed the number and handed Jenny the phone. The dispatcher answered in a frantic voice. “What’s going on?” Jenny asked. When the car came to rest, Jenny lay motionless. She tried to move, but couldn’t. Why can’t I feel pain? Jenny blinked. Everything was black. She swallowed hard and choked on the blood that pooled in her throat. Jenny gasped. Her mind drifted to Gracie—waiting at home. Her body convulsed as her heart slowed to a stop. Those were the last words Officer Jenny LeBlanc heard. BJ Bourg is the author of JAMES 516 (Amber Quill Press, 2014), THE SEVENTH TAKING (Amber Quill Press, 2015), and HOLLOW CRIB (Five Star-Gale-Cengage, 2016). 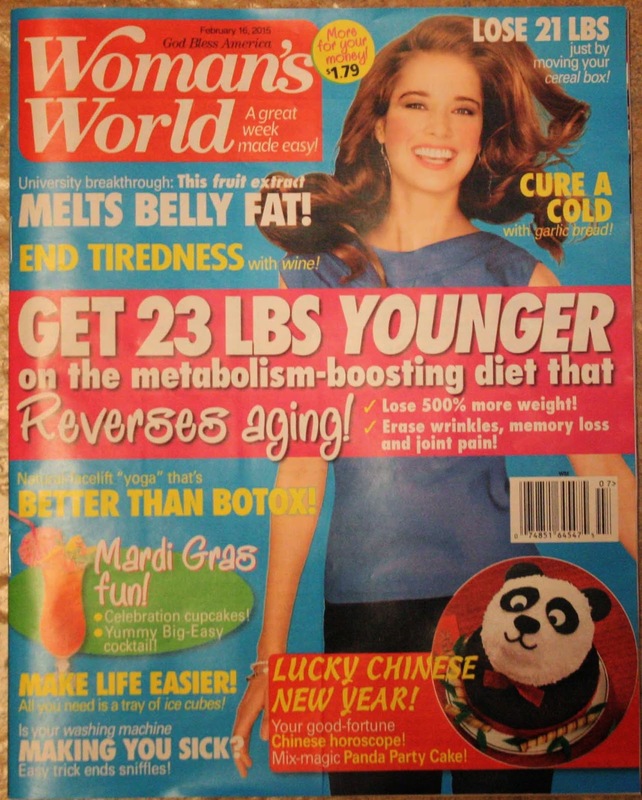 My “Solve-It-Yourself Mystery” titled ON THE ROCKS is in the February 16, 2015 issue of Woman’s World and is on newsstands now…well, except for that one rack near that one register in the Mathews Wal-Mart, because Grace and I bought the whole stack. The story features recurring characters, Detectives Grace Winston and Brandon Sharper.